This one came to me as part of a package in the Beer It Forward that I participated in put together by John at Beertography. 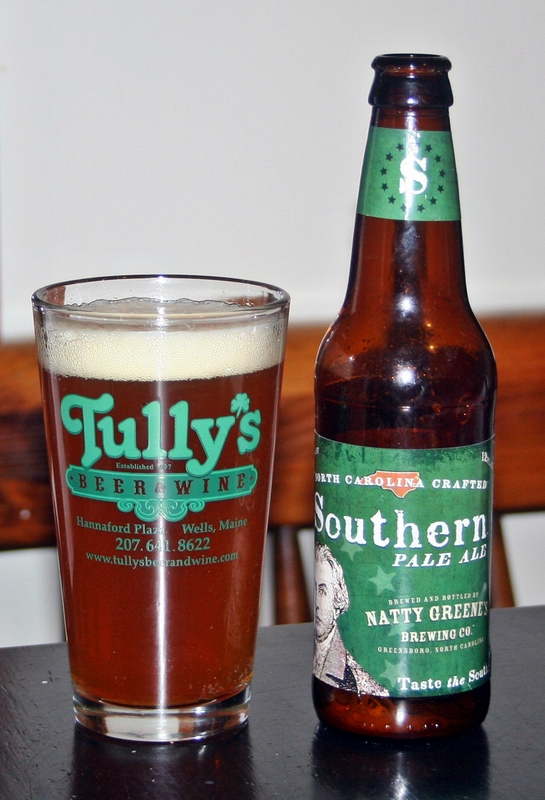 I got a box of beer from North Carolina including this 12 oz pale ale from Natty Greene’s Brewing Co. This is the first beer I have had from them and it is not very memorable. Appearance is what you expect from a pale ale, a light orange color with a thin white head. Aroma is minimal with a bit of hops coming through but nothing too impressive. Taste starts off with plenty of malt, then the hops come in but everything is pretty subtle. Overall this is a quality beer but just does not stand out among the very crowded field of pale ales. Brewers Website: Natty Greene’s Brewing Co.